Hearthstone is adding new Legendary weapons with the upcoming Kobolds & Catacombs expansion. This is a major addition to the game, so Shacknews is breaking these down individually, starting with the Priest. Today, we take a look at the Priest, one class that doesn't typically wield weapons. But the weapon this class does get is one that seems to fit right in with a number of familiar Priest decks. Dragon Soul is different from a standard weapon, in that it has zero Attack power. That actually works in the Priest's favor, because it means there's nothing to reduce its durability. 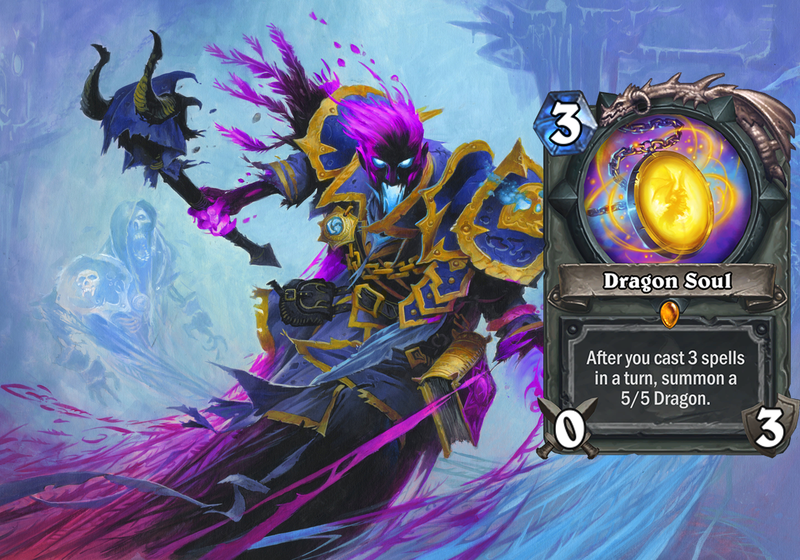 Triggering its effect will not reduce durability, giving the Priest the opportunity to summon multiple Dragons. It might even be able to summon multiple Dragons in a single turn. That can't be possible can it? Oh, it can! And because it has the potential to be abused, that makes it an ideal companion for a number of Priest staples. If you think Highlander Priest is powerful now, that's nothing. Dragon Soul will become a critical piece of the Priest's later turns. That'll especially be the case after using Raza the Chained and Shadowreaper Anduin. On top of piling on punishing Hero Power after Hero Power strike for zero mana, the Priest can keep trotting out 5/5 Dragons to build a stronger board presence. With that said, like the current Highlander Priest strategy, keeping the Priest's hand replenished is going to be a key part in making the most out of Dragon Soul. That means using Shadow Visions to its maximum efficiency and also introducing new cards with Lyra the Sunshard and Elise the Trailblazer. 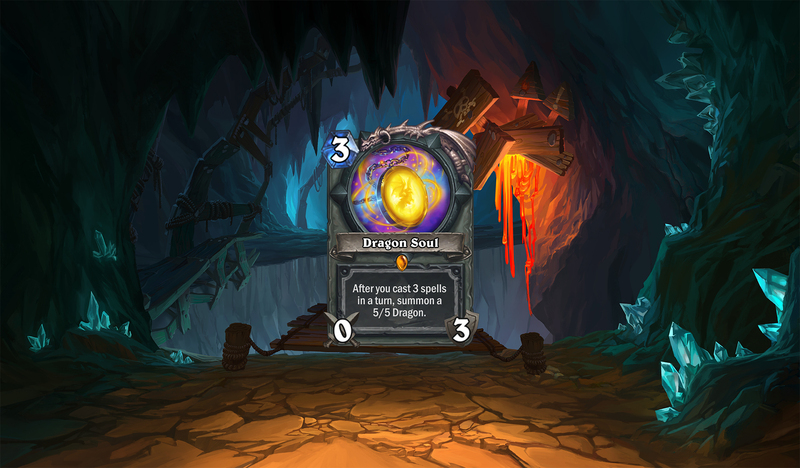 The threat of Oozes and Harrison Jones will be constant, but if the opponent has no answer, Dragon Soul has high abuse potential and will be very tough to beat. Big Body Priest might find a place for this weapon, but that's a little less likely. Yes, it doesn't disrupt its main strategy of using solely big bodies, but there's a concern that there just won't be enough resources to truly make the most of it. Remember that this Priest is also packing expensive spells in this deck, like Free From Amber, so it's not necessarily a guarantee that there will be enough spells to trigger the weapon's effect, unless both Shadow Visions and Silence are ready to go. Regardless of the Priest deck that's being run, Shadow Visions has the potential to be a real MVP here. Equipping Dragon Soul and having Shadow Visions constantly Discover the other Shadow Visions copy repeatedly is a surefire way to keep the dragons coming on a crazy loop. Radiant Elemental also becomes a critical card to making this weapon work, since one or two of them ensure Priests can pack several spells into a single turn. There are still eight more weapons to break down and Shacknews will be here to analyze them over the coming weeks. Kobolds & Catacombs is set to hit Hearthstone in December. Priest + cheap spells is a proven combo. This card is going to see play.